To celebrate our return to blogging the latest and the greatest of the geekly news, here's a copy of the announcement that's up at The Pirate Bay regarding the Joel Tenenbaum file sharing case. 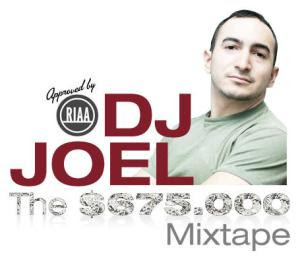 Remember, we don't make this stuff up, a jury of this man's "peers" actually saw fit to award the RIAA this money, punitively, for Joel sharing these files. During jury selection, they should have asked every juror if they had ever made a mix-tape (omgwtfbbq a cassette?) for their girlfriend or a roadtrip. If they did that, they might never have found a jury, and if they had, they certainly wouldn't have met the definition of "peer". But c'mon, there ain't no such thing as free lunch, you should work for your money. The PirateBay guys already done what they could, now it's your turn. Downloading and seeding is a good start, but don't you even think about stopping there. Share the short link (see above) via Facebook, mail, blogs, tell your friends... Alone we are nothing, together we can make this one of the most popular torrents and show the RIAA why not to attack any of us! So happy seeding, let's go for thousands and ten-thousands! :-)"